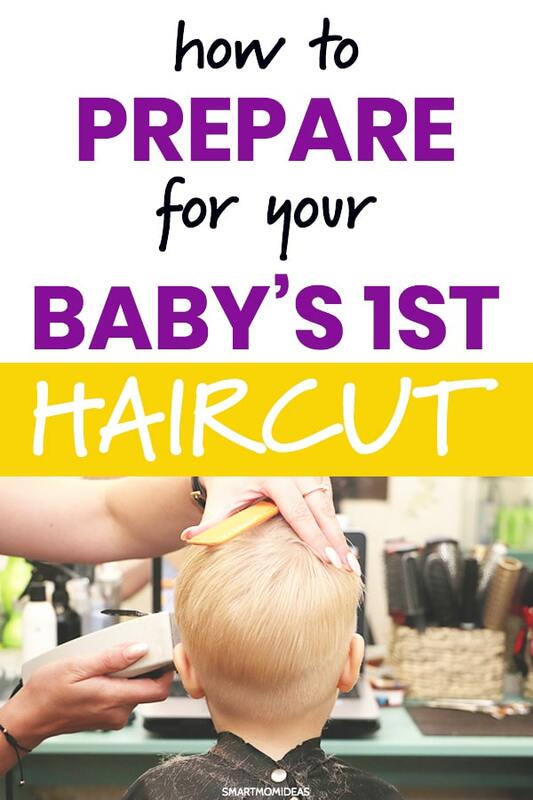 Learn easy ways to prepare your baby for their first haircut! For many moms, there’s nothing more bittersweet than baby’s first haircut. As a first-time mom to boy/girl twins, I was blessed with one of each. With girls it’s easier, at least with mine it was. She wasn’t ready, and then suddenly she was. No problem. And we are talking about a minor trim here, anyway. Boys, on the other hand, what is a mama to do? I mean what’s more innocent than long locks on a child – even a little boy! But once the scissors come out, they always end up with a more mature and grown look. 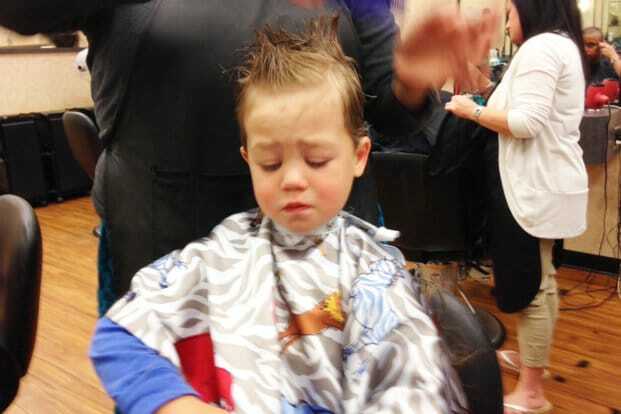 Most of the time the actual act of getting a haircut causes anxiety for the child but, as any parent who has experienced a toddler haircut knows, the entire ordeal can be stressful for parents as well. When is the Best Time for a Baby’s First Haircut? “Whenever you are ready,” has a nice ring to it, but in this case delaying the inevitable may cause more struggle down the road. We kept my son’s hair long until he was about two and a half because, well, he had beautiful blond hair that I couldn’t bear to cut short. People often mistook my twins for two daughters but, at the time, I couldn’t understand the confusion. I just saw my little boy with sweet golden locks. Although, looking back, I can see how people could get confused. The funny thing is, if any of you remember Full House and the boys’ hair, well I never wanted to be that parent. But I guess I did a big fail on that one! My son’s first haircut was not the relaxed, fun-filled experience I had envisioned. Ok let’s be honest, the entire experience was kind of traumatic. There was no actual crying, but the sad and scared look on his face sure broke my heart. He did, however, score a tiny dinosaur from the stylist so the whole haircut was not a complete bust. To this day, he still doesn’t like getting haircuts. On the other hand, my daughter loves the tiniest of trims and especially the pampering. She can sit for an hour getting her hair curled with a huuuuge smile on her face. My lesson learned was this: start haircuts early with your little ones, even if your son has gorgeous hair. 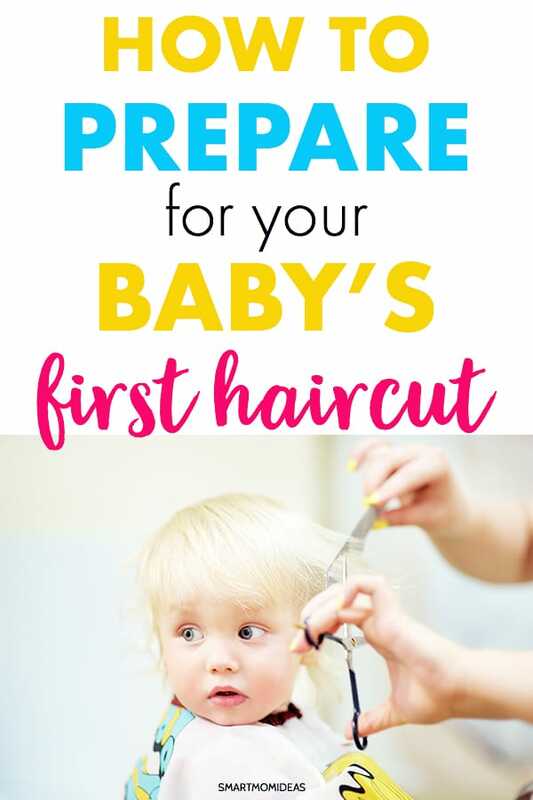 So to answer the question, “When is the best time for a baby’s first haircut?” – as soon as your child’s hair is long enough to require a haircut. The earlier you expose them to the experience, the easier they will get used to having it done. Before worrying about getting your little girl or boy ready for their first haircut, you have to get your head in the game. That first haircut is a significant step for your child but also for you as well. “I’ll just wait until the ‘next birthday’…or maybe ‘next spring. '” Yup, been there done that. With so many changes in a child’s development happening naturally, there’s so few that require a parent’s decision. While they will walk when they’re ready and talk when they’re ready, it’s up to you to decide when they are ready for their first haircut. 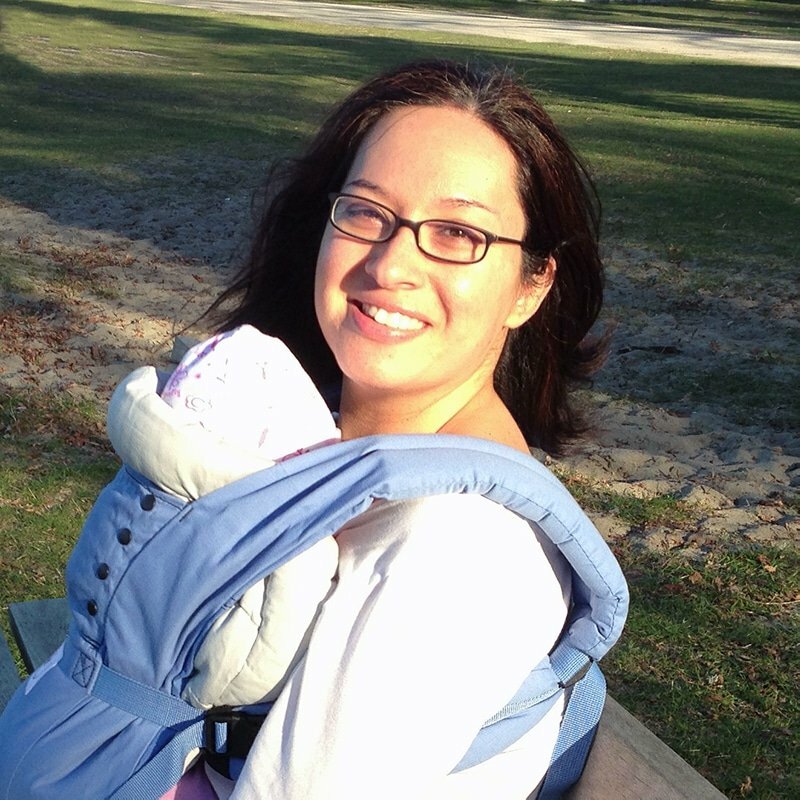 Just remember that no matter how quickly you feel your little one is moving through their development stages, each current stage is just as precious and memorable as the last. As you get ready to take your baby or toddler in for their first haircut, your child will more than likely tune in to your apprehension. If you show your stress, your little one will pick up on it and become stressed. The best way to alleviate the anxiety of the first haircut is to turn the stress into excitement. Amp yourself up by getting inspired! 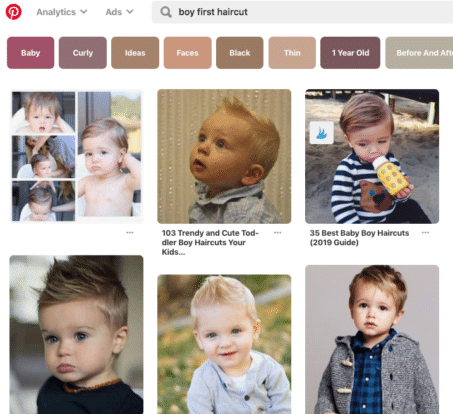 Take to Pinterest to search for adorable little boy haircuts and little girl haircuts. You can also get a keepsake box to store your little one’s first hair clippings. You may be able to find a set of boxes for hair, teeth and other special treasures. Another option is to place the hair in a memory album for safekeeping. Or you can always use a spare envelope like I did! Be sure to have your camera ready to take lots of pictures! Take a “before” and “after” picture; these would be great to print off and place in the photo album along with the pieces of hair! If anything else, bring a friend and relative to share in the excitement! It’s likely that by the time your little one is ready to have their haircut, they will be close to toddler age and able to protest. Why don’t kids like haircuts? Most children will allow you to give their hair a quick trim at home but struggle with having a hairstylist do it. It’s likely due to an unknown environment and a stranger approaching them with a sharp object. At home, they are in familiar territory with someone they completely trust cutting their hair. Some children detest haircuts no matter who is giving them. They may fear the scissors and think that the haircut may hurt. The word “cut” is part of the word “haircut” and, by this age, they understand that a cut means pain. You can help you little one face their first haircut by letting them know exactly what a haircut is. Look for videos on YouTube showing kids getting haircuts. Point out how calm the children are and how they are not hurt. Have your child practice getting a haircut by using plastic PlayDoh scissors and pretend to cut their hair. Make sure that you are the one giving the haircut. While it may seem like a good idea to let your child practice on you, you don’t want to encourage them to try the real deal on themselves or others with actual scissors. Before you go to the appointment, pack some snacks, toys, bubbles, favorite stuffies, books and siblings to entertain your little one. Okay, maybe don’t pack the siblings, but having an older brother or sister present may ease the tension and anxiety of having their haircut. Typically the early days of haircuts for your child does not have to be a coiffed and stylish affair; usually a quick trim will do the trick in keeping your little one’s hair short and neat. Some parents opt to cut their child’s hair at home with a kid-friendly hair clipper, saving the time, effort and anxiety of going to a professional hairstylist. The benefit of cutting your child’s hair at home is that they are able to remain in a place of comfort and familiarity with someone of whom they completely trust. And, if you have a child who has a particularly difficult time with haircuts, you can give them a trim while they sleep. However, at-home haircuts always have a potential for mistakes. 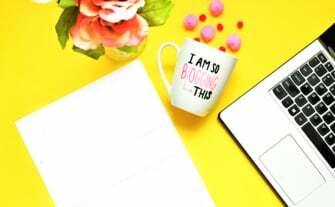 Unless you are a professional hairstylist, you run the risk of crooked cuts and, as you try to remedy your error, the hair gets shorter and shorter. When you visit a professional, you run the risk of your child having a meltdown as a complete stranger attempts to cut their hair. Yet they are professionals and not only are they trained to cut hair, they are experienced in dealing with tiny clients. If you are nervous about taking your child to a hairstylist, mention your concerns when you book your appointment. They may be able to accommodate your child’s needs by booking during a quiet time or having someone who is good with kids do the haircut. Overall, professional hairstylists have the experience to perform a child’s haircut neatly and quickly. And you will be perfectly okay. It’s just one more step in their development that you get to cherish and enjoy. Prepare yourself, prepare your child and that first haircut will simply be another wonderful milestone in your beautiful life.